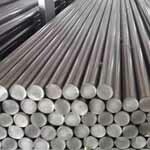 Inconel Bright Bar, Inconel Round Bar, Incoloy Bar, ASTM B166 Inconel Round Bars, Inconel Alloy Rods Suppliers and Dealer in Mumbai, India. Suppliers of ASTM B166 Incoloy Hex Bar, Inconel Alloy Forged Bars Exporter, Inconel Round Bar, Inconel Square Bar, Inconel Round Bars Manufacturer in India. Ganpat Industrial Corporation offers an extensive collection of Inconel Alloy Round Bars, which is oxidation resistant to 1800 Degree F in open air. We offer these products in dissimilar grades such as Inconel Round Bars, Inconel Round Bars, Inconel Round Bars, Incoloy Round Bars, Incoloy Round Bars, Incoloy Round Bars, Incoloy Round Bars, Inconel Round Bars, Inconel Round Bars and Inconel Round Bars. Our Inconel Square Bars is known as the most universally corrosion resistant material available today, which further resists the formation of grain boundary precipitates that would degrade corrosion resistance. However, these Inconel Flat Bars is generally not recommended for elevated temperature service. Annealing of our Inconel Threaded Bars after working is advised and should be performed at a temperature between 2050 Degree F and 2150 Degree F followed by a rapid quench in a protective atmosphere or in an agitated reducing quench bath. Some of the area of present or potential use these Inconel Hollow Bars is: Acetic acid / Acetic Anhydride, cellophane manufacturing, chlorine spargers, chlorination systems, circuit board etching equipment, complex acid / chemical mixtures, fans and blowers. Our Inconel Hexagonal Bars can withstand very high temperatures and is corrosion resistant, which is further supplied in this condition. If hot forming or forging is done then the parts of these Inconel Triangular Bars should be solution heat treated, if possible, before use. Hot Rolled Inconel Round Bar, Incoloy Cold Drawn Round Bar, Inconel Polished Bar, Specialist Distributor of ASTM B166 Inconel Alloy Threaded Bar, Inconel Alloy Flat Bar, Alloy Black Bar Exporter in India. We focus on every procedure to assure quality, the package we usually take is pack Inconel Round Bar with environmental poly bags, and then in free fumigation wooden cases or wooden palte. Also can accept customized package such as OEM by negotiation. We offers just about everything to meet your Inconel Round Bar pack requirements. Lot of emphasis is placed on the packing and packaging. The AISI Round Bar are packed in wooden corrugated boxes foiled in plastic wraps and bubble wraps. inconel bar price list, inconel round bar, inconel round bar price in india, inconel flat bar stock, inconel round bar price list india, inconel bright bar manufacturer in gujarat, inconel rod price per kg in india, inconel alloy round bar manufacturer in india, inconel rod price in india, inconel rod manufacturers in india, inconel round bar suppliers, inconel rod 1/8, inconel round bar stock, 3/16 inconel rod, inconel round bar sizes, inconel round bar, alloy rod manufacturers, inconel rod india, steel bar manufacturers usa, inconel round bar price, inconel flat bar sizes, inconel flat bar prices, 3/16 inconel threaded rod, 1 inch diameter steel rod, alloy flat bar stock, inconel rod sizes chart. Gimhae-si, Hanoi, Manama, Geoje-si, Perth, Al Khobar, Hyderabad, Madrid, Ranchi, Moscow, Howrah, Bhopal, Brisbane, Pune, Montreal, La Victoria, New York, Dammam, Rajkot, Granada, Baroda, Chiyoda, Visakhapatnam, Ahvaz, Istanbul, Chandigarh, Jakarta, Surat, Kanpur, Al Jubail, Ernakulam, Mumbai, Houston, Riyadh, Toronto, Kuwait City, New Delhi, Abu Dhabi, Aberdeen, Caracas, Hong Kong, Cairo, Milan, Lagos, Algiers, Courbevoie, Gurgaon, Atyrau, Navi Mumbai, Doha, Ahmedabad, Sharjah, Jaipur, Kolkata, Indore, Bangkok, Busan, Tehran, London, Muscat, Dallas, Dubai, Ludhiana, Vung Tau, Rio de Janeiro, Colombo, Mexico City, Bengaluru, Faridabad, Petaling Jaya, Singapore, Pimpri-Chinchwad, Chennai, Thane, Karachi, Bogota, Ankara, Los Angeles, Secunderabad, Edmonton, Ulsan, Noida, Calgary, Melbourne, Nashik, Vadodara, Thiruvananthapuram, Nagpur, Jamshedpur, Seoul, Ho Chi Minh City, Kuala Lumpur, Lahore, Santiago, Sydney, Jeddah, Haryana, Coimbatore, Port-of-Spain. Libya, Italy, Lebanon, Philippines, Hungary, France, Vietnam, Belgium, Peru, Iran, Iran, Malaysia, Angola, Puerto Rico, Ukraine, Russia, Nepal, South Korea, South Africa, Qatar, Zimbabwe, Spain, United Kingdom, Bahrain, India, Portugal, Austria, Slovakia, Brazil, Germany, Croatia, Hong Kong, Greece, Iraq, Yemen, Estonia, Chile, Pakistan, Sri Lanka, Czech Republic, Thailand, Bolivia, Kenya, Poland, Namibia, Turkey, Nigeria, Israel, Morocco, United Arab Emirates, Nigeria, Azerbaijan, Mexico, Argentina, Jordan, Afghanistan, Taiwan, Kazakhstan, Netherlands, Trinidad & Tobago,Tunisia, Bhutan, Gambia, Serbia, Sweden, Bulgaria, Egypt, Singapore, Romania, Oman, Switzerland, Algeria, Mongolia, Costa Rica, Indonesia, Chile, New Zealand, Colombia, Mexico, Australia, United States, Japan, Ghana, Belarus, Bangladesh, Norway, Kuwait, Macau, Denmark, Poland, Lithuania, Saudi Arabia, Canada, Tibet, Gabon, Finland, Ecuador, Ireland, Venezuela, China.